After purchasing some of Essence's lip pencils and absolutely loving them I decided to try out a few more of their products. 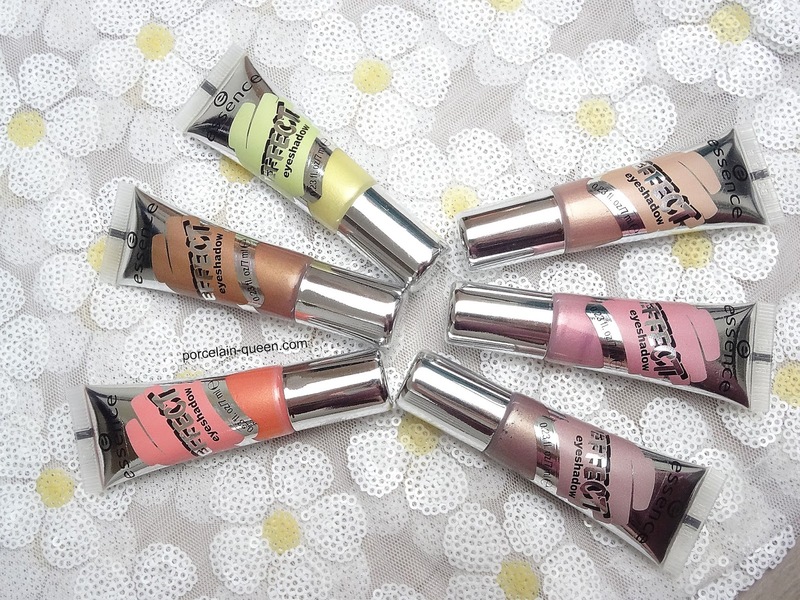 I saw these online and was instantly intrigued by them, as they are metalic liquid formula which dries to a powder finish. 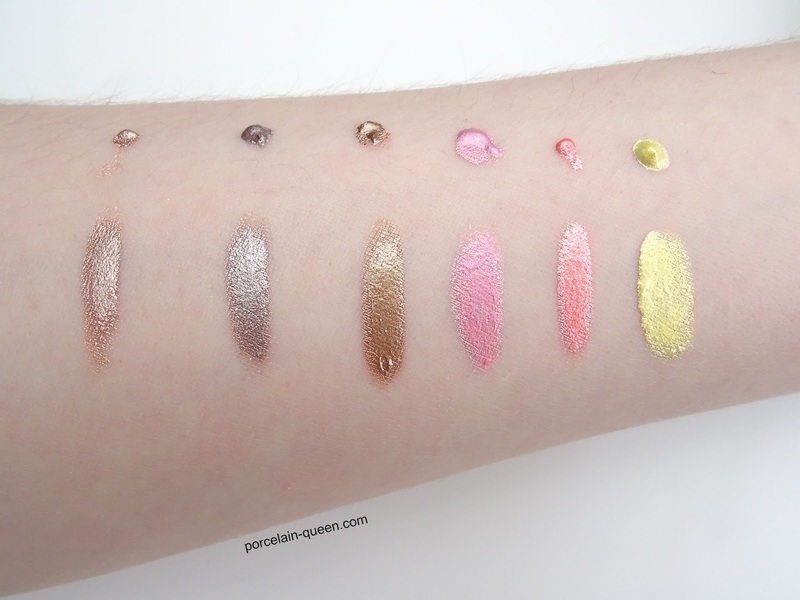 I was surprised by how runny and liquid like the eyeshadow was, it definitely caught me off guard, some shades are more runny than others but the pigmentation isn't affected. I was taken aback by how pigmented these beauties are, as you can see from the swatches they are completely opaque - this I wasn't expecting. If you apply a small amount you can sheer the product out, but applied in layers or more heavily will give you the full metallic finish. I was worried they might feel tacky and sticky on my eyes, however they dried to a completely powdered finish, they would not budge or smudge once blended. I wear mine without a primer and I am yet to have any signs of creasing or transfer. The packaging is functional, having the squeezable tube means you can control the amount of product being dispensed and not product is ever wasted - unlike if it was to come in with a doe foot applicator. I bought my Essence products through Wilkinson's, I had them delivered to a local store free of charge and collected them myself a day later. I paid only £1 each for these, they are stupidly affordable to the point that it feels like highway robbery - I honestly do not know how they make a profit on these products. I bought a few more items from Essence which I will be sharing soon, but everything I've used so far has been utterly incrediable - Essence can do no wrong!